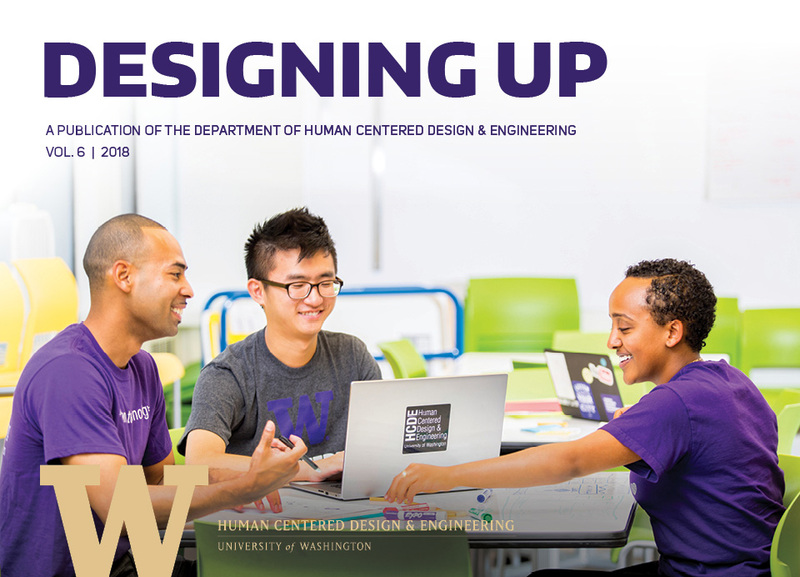 The department of Human Centered Design & Engineering publishes an annual newsletter, Designing Up, which features news from our faculty, staff, students, and alumni. Mother/Daughter alumni reflect on the HCDE experience; Technology for mindfulness; Alumna Jill Demarco makes the largest donation in department's history; New courses; Donor spotlights; Welcoming new faculty; Food recovery Directed Research Group; Project EMAR Robot Design Challenge; Awards and accolades. Sign up to receive Designing Up in the mail! If you would like to receive Designing Up mailed to you annually, submit your mailing address here. This publication replaces re:Design, which was published annually in the summer through 2011.